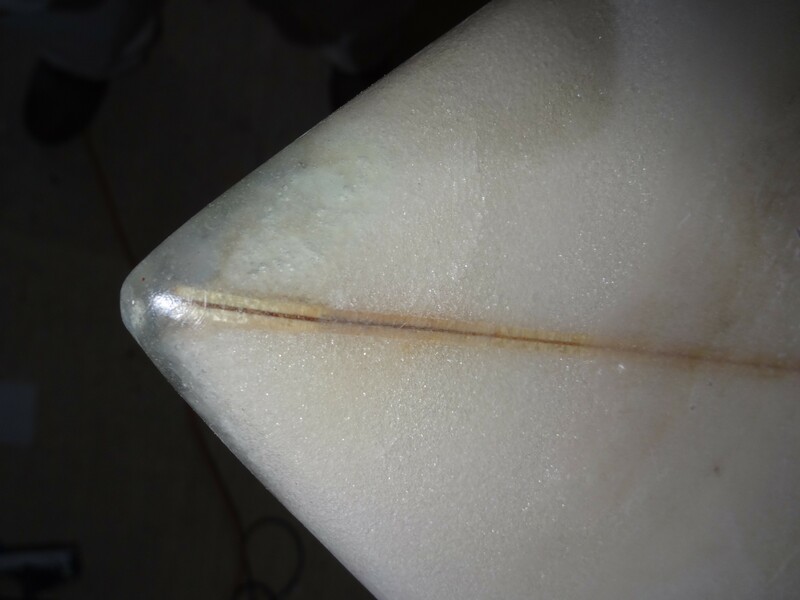 A surfboard nose in need of surgery. 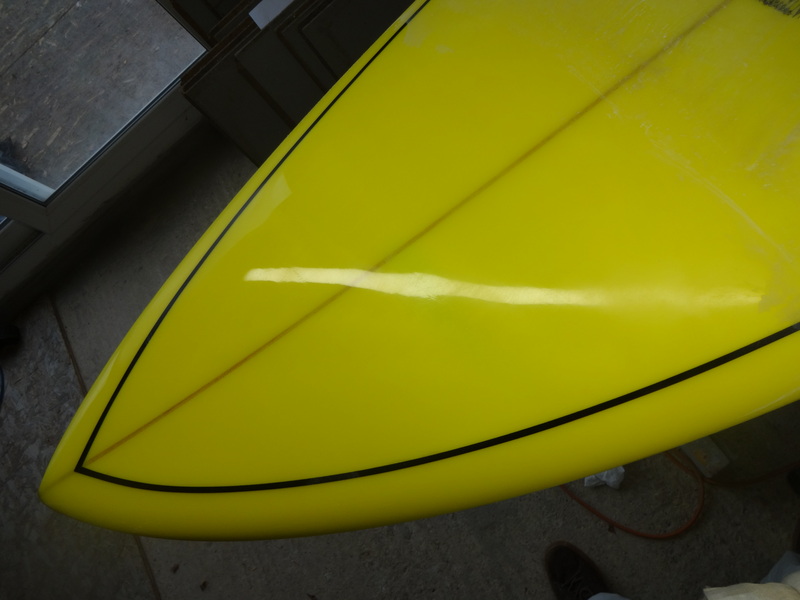 A 5’10” SURFTECH in for nose/tail n rail. 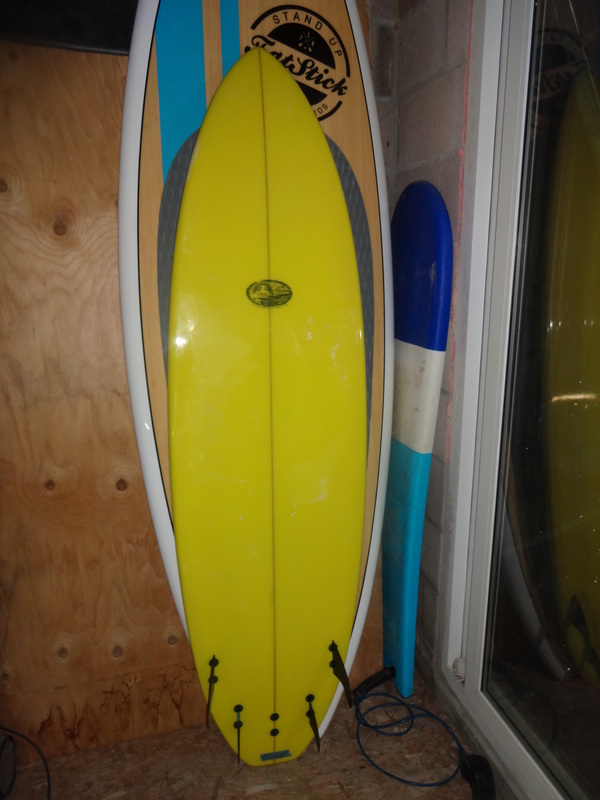 Click on the above link for more info on the boards design. 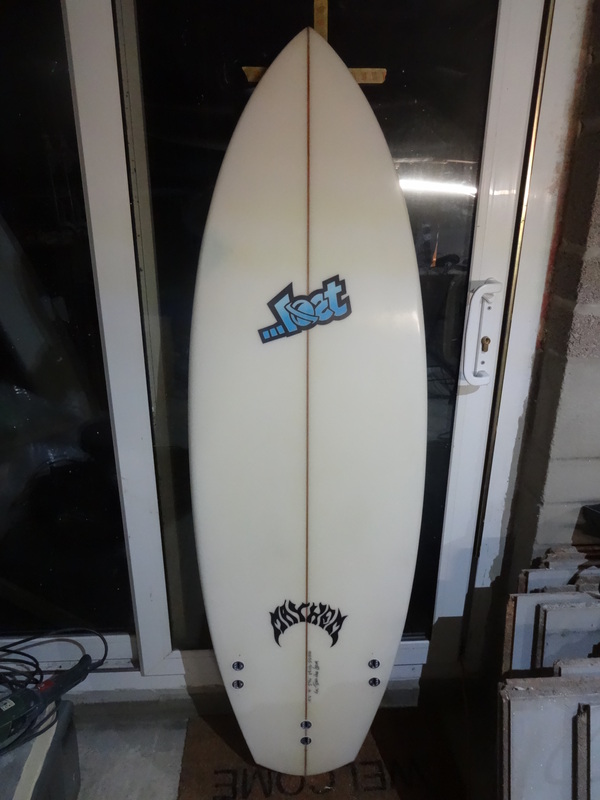 has been strong – we have been blessed. 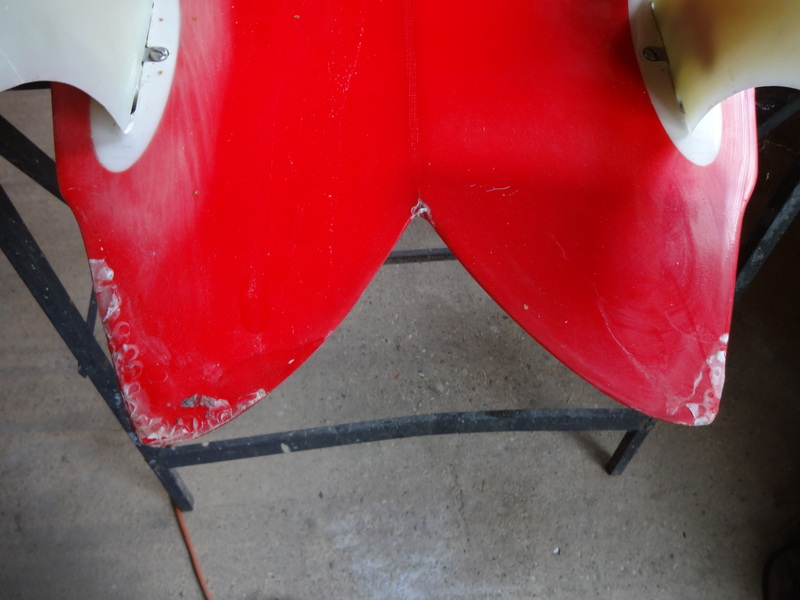 Fin rot removed and repaired for longevity. 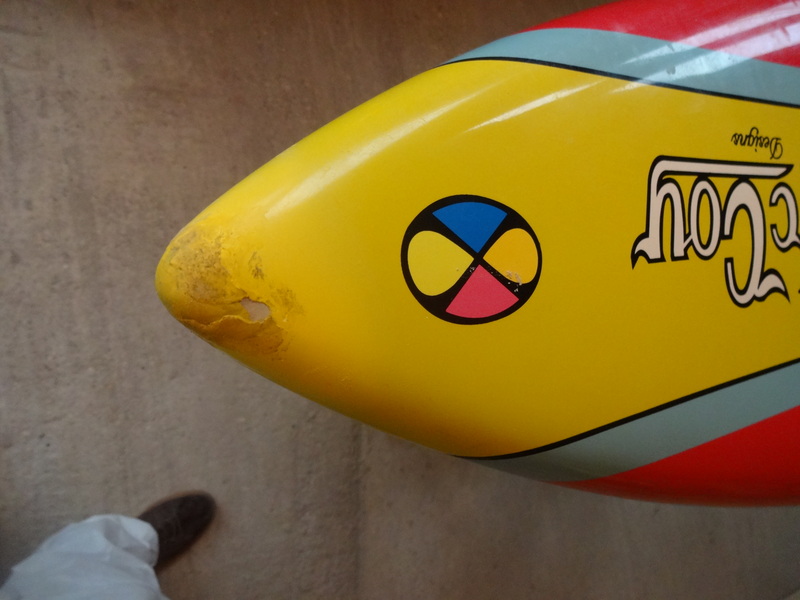 Nick’s Lost surfboard took quite a beating. 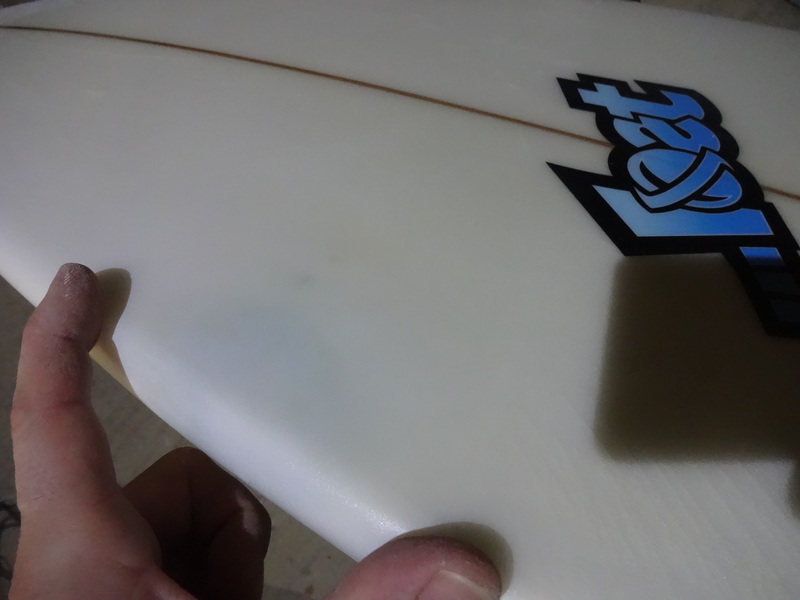 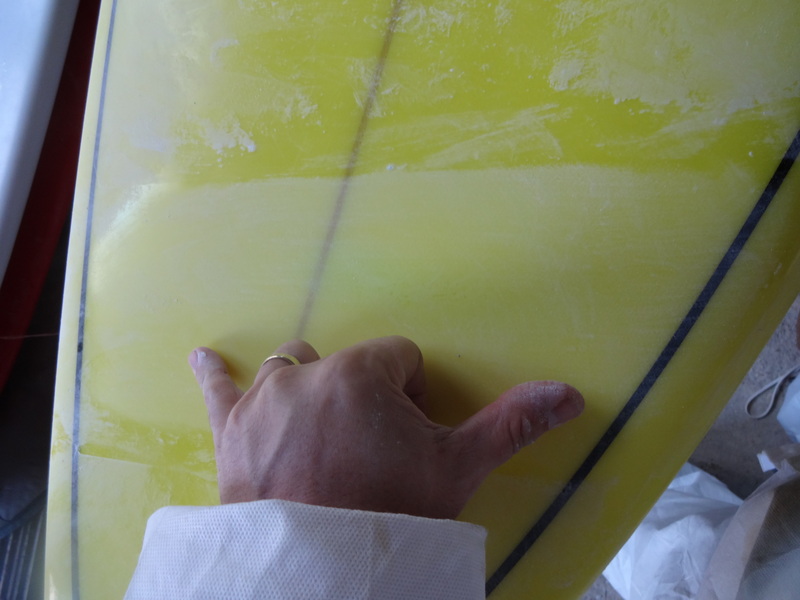 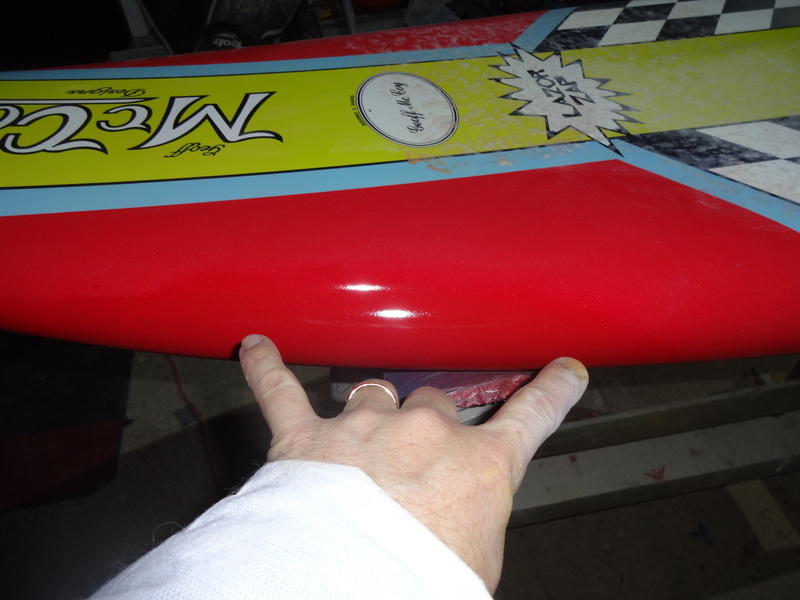 A JS SURFBOARD with a ding that requires professional attention. 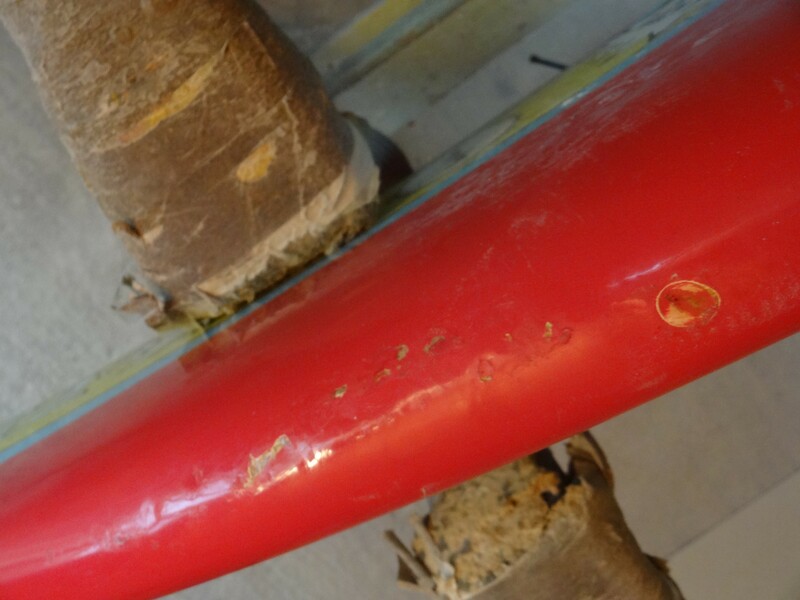 You can just see the repair in the middle of the apex of the rail. 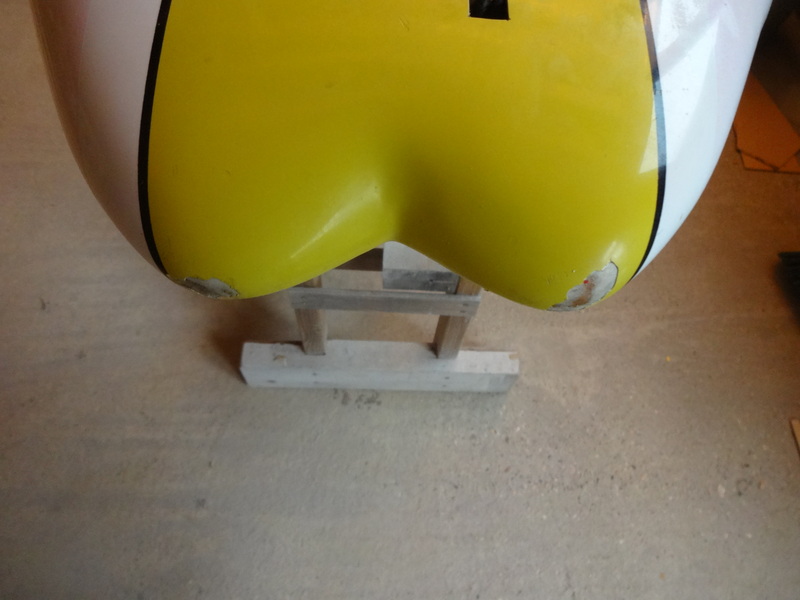 The above had a crease across the nose – during repair. 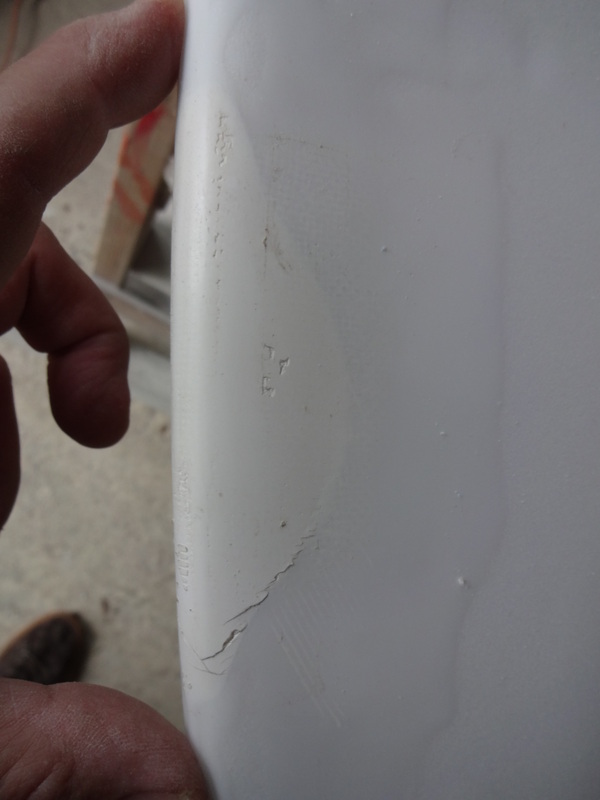 Note a slight darkening where the previous damage was. 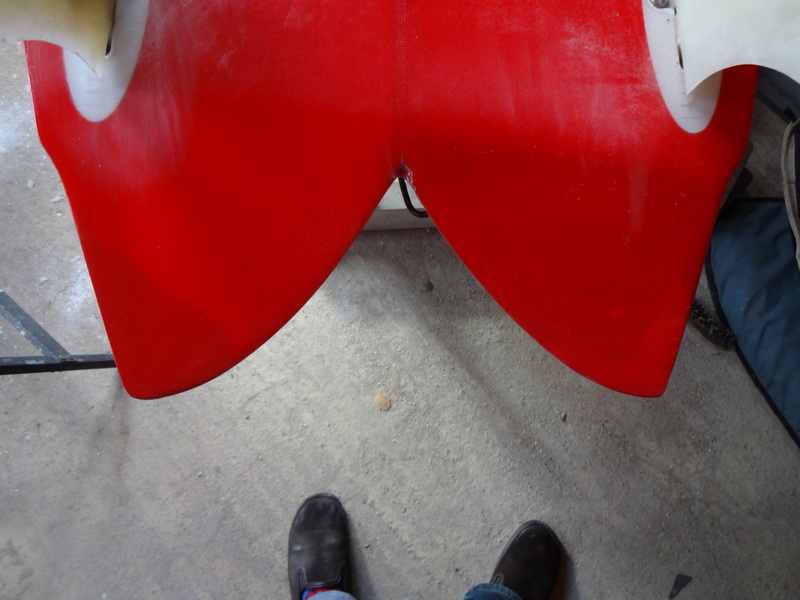 After multiple grades of sanding and machine polishing. 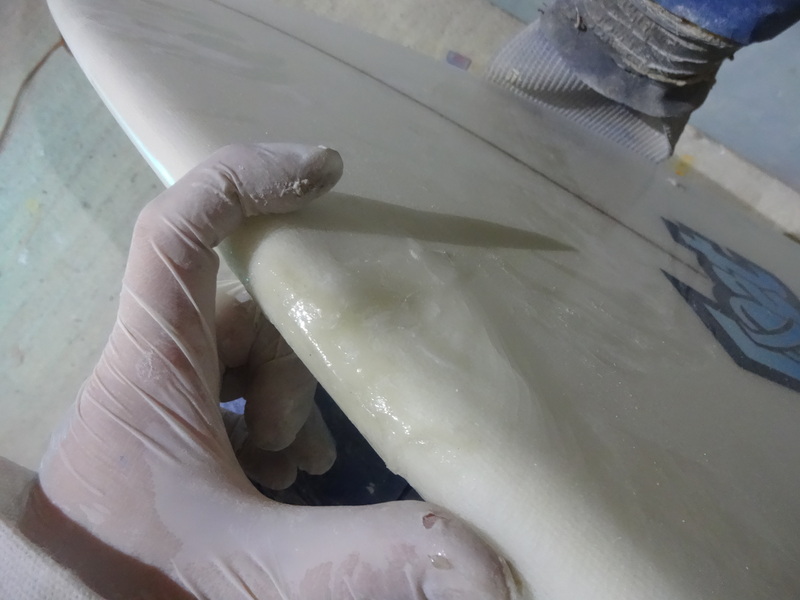 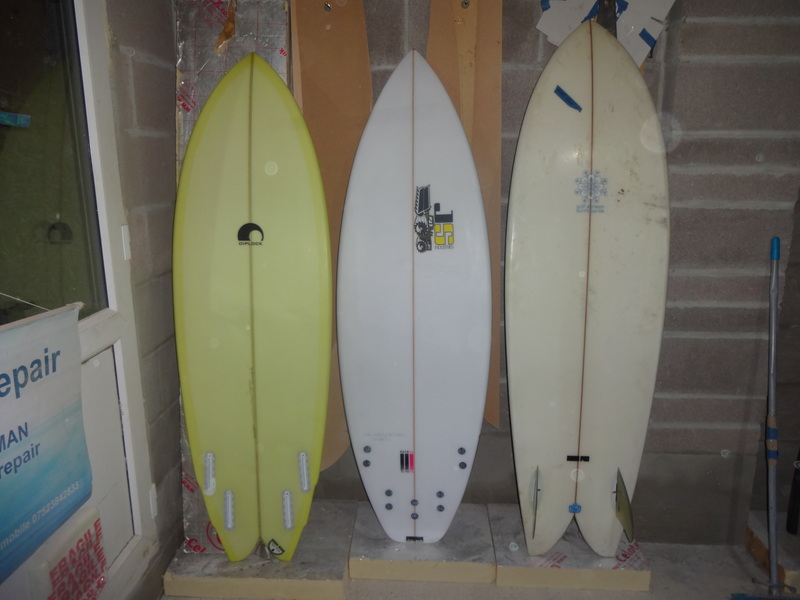 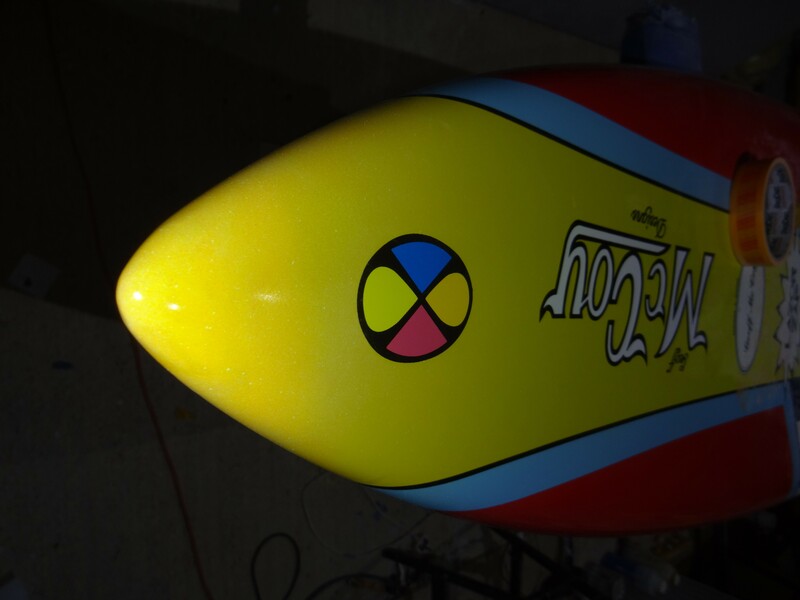 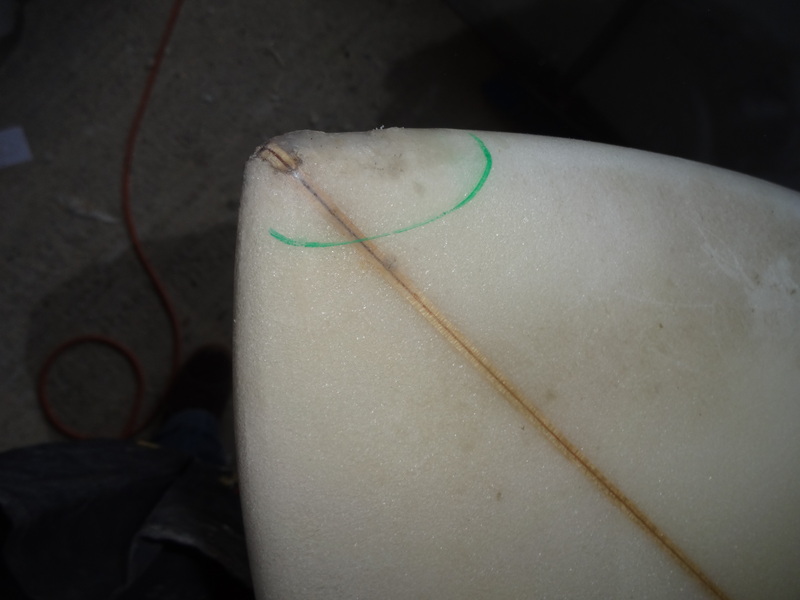 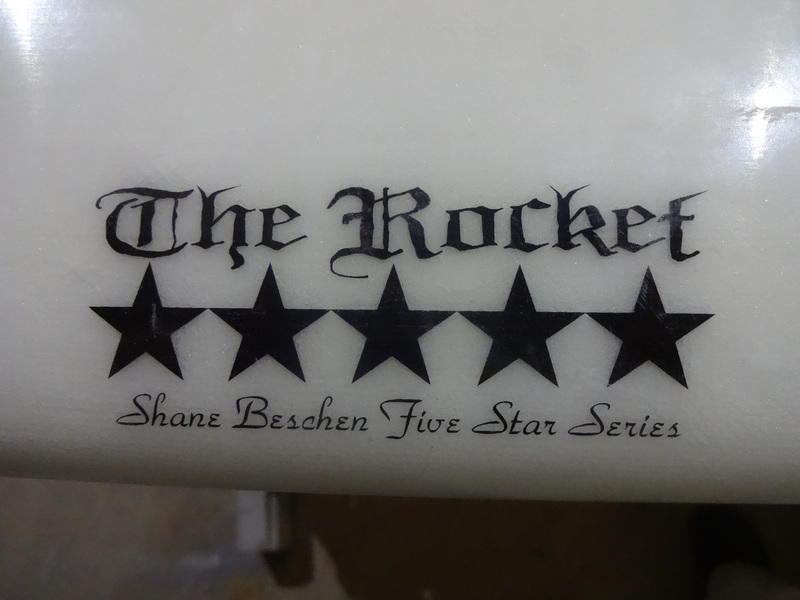 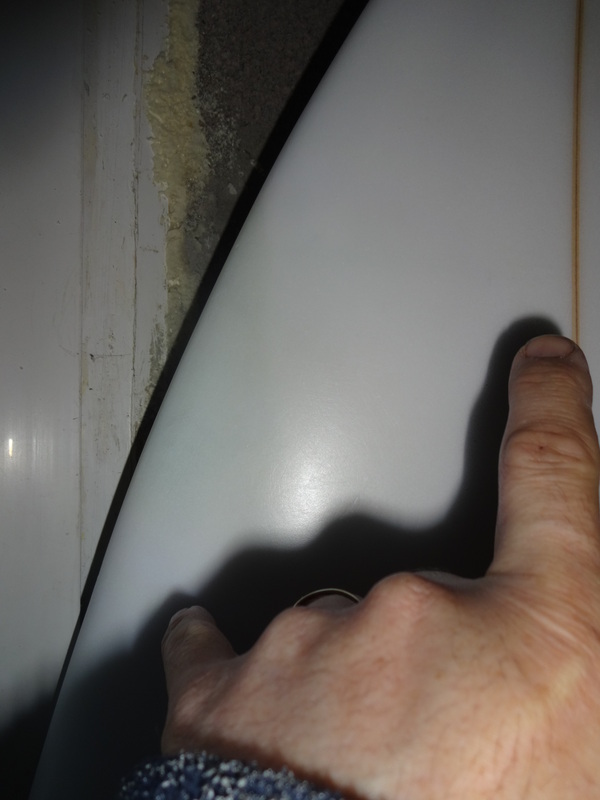 Professional surfboard repairs in Bournemouth.